An evening spent under the glistening lights of The Roof Terrace while sipping on mulled wine with friends has definitely got me in the Christmas spirit. 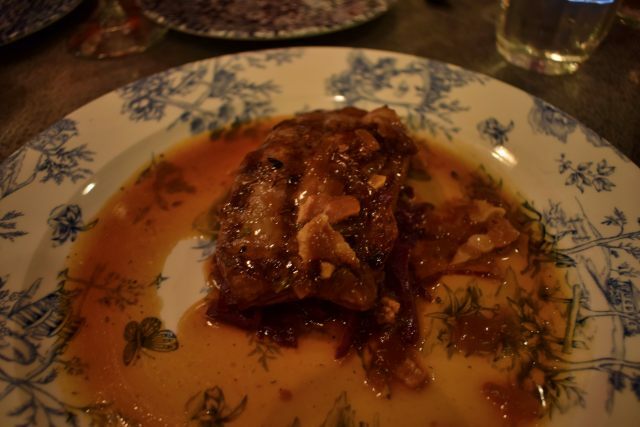 This week I ventured to The Botanist, in Newcastle, for a festive evening filled with tipples, food and good company – you know the things that make this season so special. 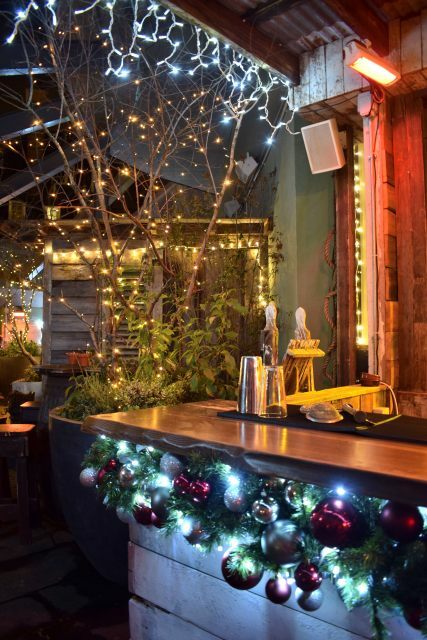 Draped in fairy lights and baubles with twinkling trees sprinkled throughout, The Roof Terrace offers even more this year while still retaining its snug and cosy atmosphere. 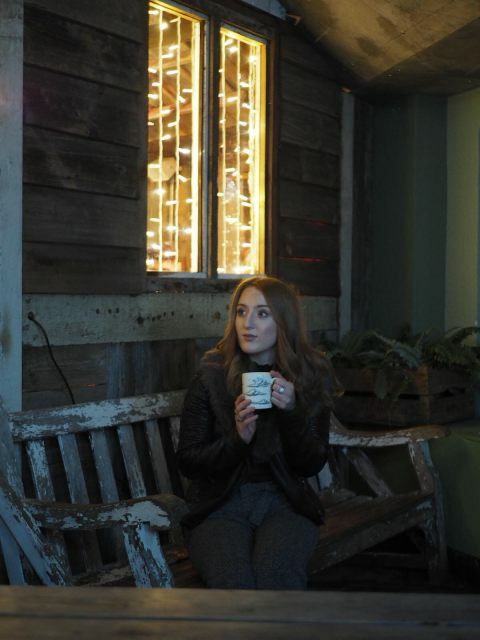 If there’s a few of you, I recommend retreating with some mulled wine to the wooden ski hut, which is located at the end of the bar. Mulled wine not your thing? Then may be the new Budweis Mule cocktail will tantalise your tastebuds. With a combination of Tanqueray gin and Cointreau, infused with fresh ginger, lemon thyme and herbal notes, all topped with Budvar Original. It’s actually pretty refreshing! When it gets a little too nippy outside, the new mezzanine level in The Botanist is the perfect place for either an intimate dinner, or a catch up with friends. It was definitely the latter for me and this evening I found my tastebuds swaying towards the brand new Christmas menu. 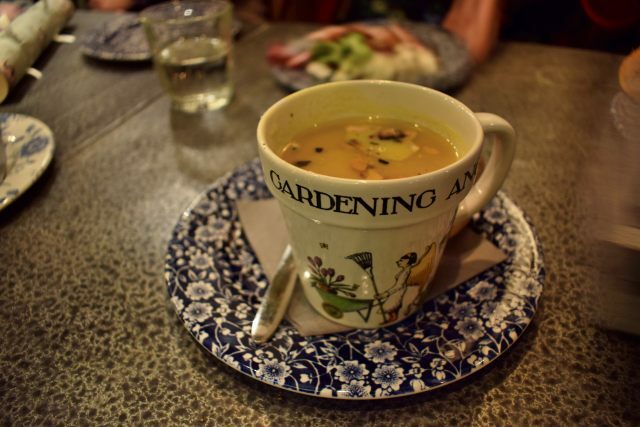 With a selection of roast ham, smoked salmon rillettes, or curried soup for starters, it was a pretty hard choice, but after noticing the soup came in the cutest flower pot I was sold. Curried cauliflower and coconut soup with toasted almonds sprinkled on top, it was absolutely delicious and full of flavour. 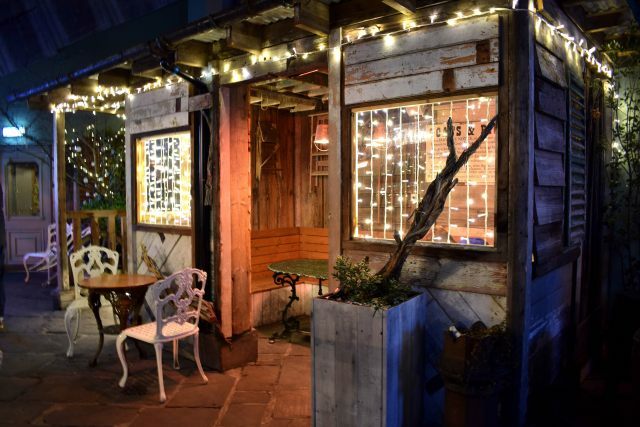 If you’re a fan of The Botanist’s hanging kebab, then you’re in luck as they’ve taken its iconic dish and combined it with a traditional Christmas dinner. 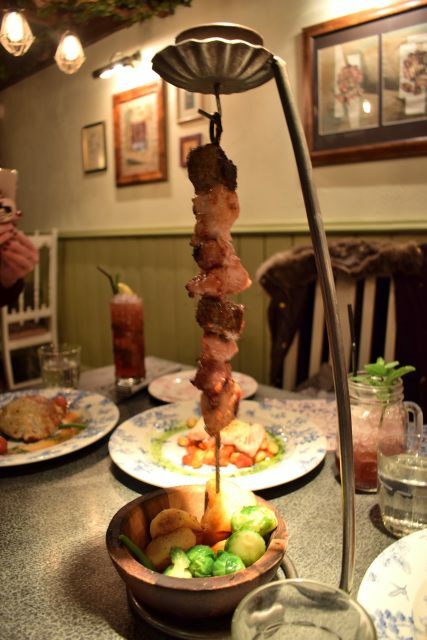 Introducing the turkey hanging kebab with spiced cranberry glaze and the all important, pigs in blankets. 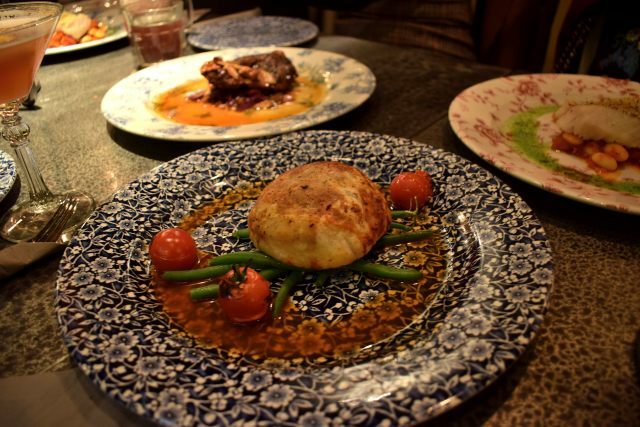 There’s also baked cod, butternut squash and mushroom wellington, and my favourite – sirloin steak. Grilled steak with braised red cabbage and smothered in smoked bacon and thyme sauce – my mouth is watering think about this dish all over again. 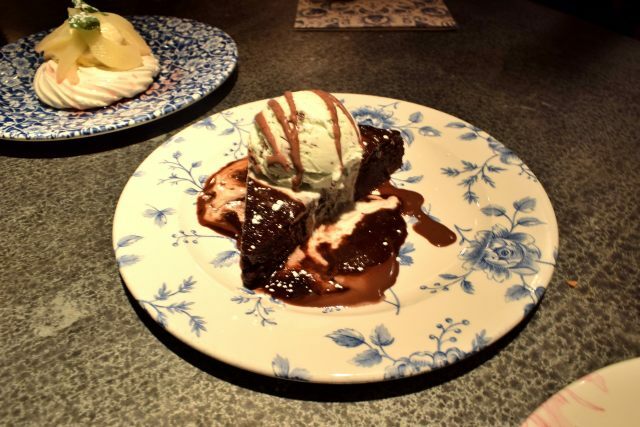 When it comes to desserts there’s a traditional bakewell tart, or cranberry and raspberry meringue with eggnog cream, and then there’s the chocolate fudge brownie – for all the chocolate lovers out there. With a huge scoop of creamy mint ice cream, I’m not going to lie this was the only dessert that grabbed my attention. With a never ending cocktail menu and a musician playing acoustic Christmas tunes in the background, I could have easily stayed at The Botanist with my friends all night. 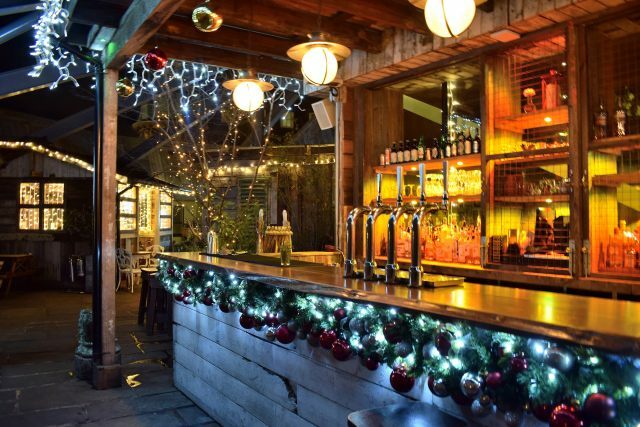 Have you seen the winter Roof Terrace yet? Have you tried anything on the Christmas menu yet? 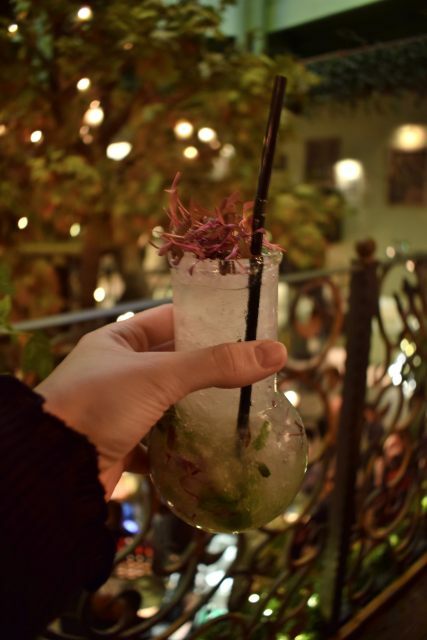 What’s your favourite cocktail from The Botanist?